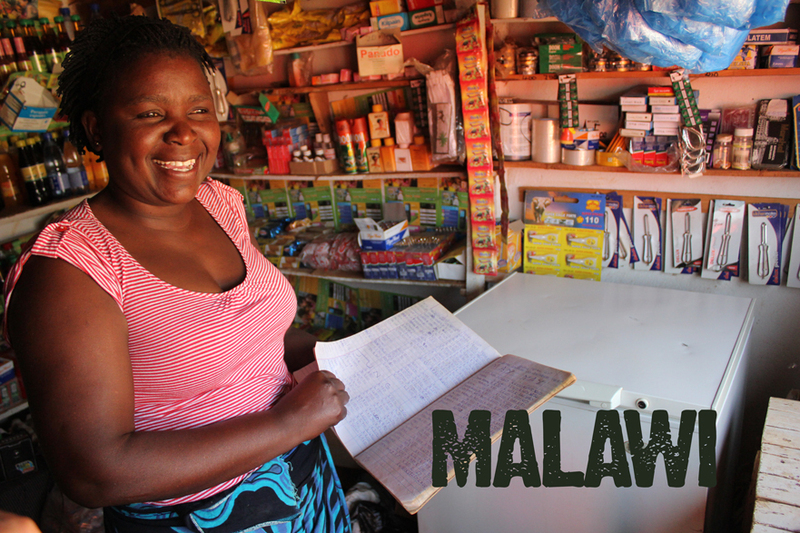 Malawi is often referred to as "The Warm Heart of Africa", a reflection of the warmth and beauty of its people. Malawi is also one of the smallest and poorest countries on the African continent, where low life expectancy, high infant mortality and HIV/AIDS are prevalent. ADC is in partnership with the Ekwendeni Savings and Credit Department (ESCD), a long-established outreach program of Ekwendeni CCAP Hospital. ESCD provides savings services to more than 2000 clients from the local Ekwendeni community who do not have access to larger financial institutions. ESCD helps raise the living standards of the local community by supporting local entrepreneurs to start or expand small businesses through its income generating activity (IGA) loan programme. This also helps diversify income away from a dependence on maize farming, which is seasonal and often unpredictable. Clients of ESCD include farmers, vegetable traders, tailors and market stallholders. Many of ESCD's clients are role models in their community, inspiring others with their determination to succeed in taking control of their economic destiny despite the tough environment they live in. ESCD is run by a dedicated team based in the Ekwendeni Hospital, focused on long-term economic improvements in the local Ekwendeni area. ADC is proud to be part of a team making a big difference.